A comprehensive collection, filled with inspiration, which brings with it the value of the materials, the precision of construction and the personality of the design. Substance has finally returned, the pleasure of superior quality in an original product, combining the best that tradition has to offer with contemporary taste. The warmth of wood permeates through the collection of Natisa tables in all its eloquence, enhanced by special technological processing techniques combined with diverse materials, as well as solutions that are aesthetically pleasing and highly practical. Style, clean lines, innovation and the essence of materials are interpreted by the Natisa chair collection with a wide range of solutions for all settings, including exteriors. The predominant theme is quality and the play on materials featuring different finishes in wood, metal, plastic, and the comprehensive range of fabrics and colours available which allow customised combinations. The layout of the collections by product family makes it easier to put together combinations of coordinated chairs and stools. 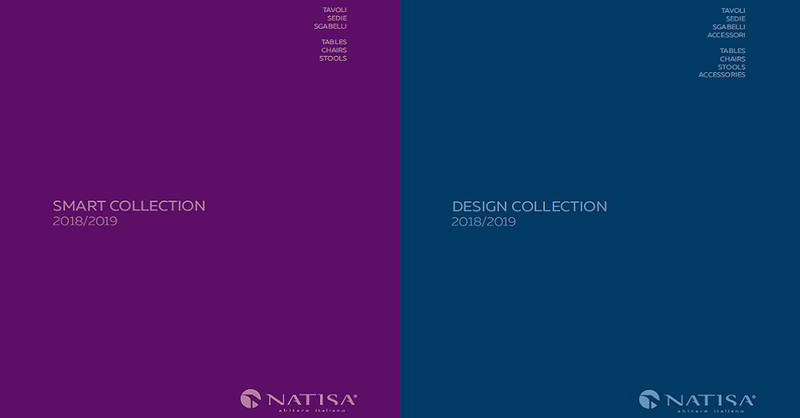 Ideas for the home and accessories inspired by excellent materials, such as wood, developed with the creative combination of design and craftsmanship: Natisa furnishing accessories are beautiful as individual pieces, but with the intelligence of expertly crafted items. A small, tasteful collection which is constantly enhanced with new creations. Our production of quality tables and chairs: formal research, style, attention to detail, depth of materials in a range of products stemming from a long tradition in craftsmanship. A fresh look, with new photographs, to present our work at its best: stylish tables and chairs, new materials, unusual designs and the possibility of choosing from a variety of finishes and colours.